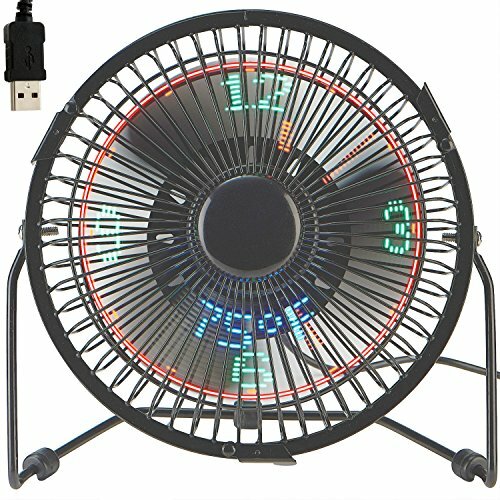 USB PROGRAMMABLE FAN (Micro Wave) Features Simply plug into any USB port on computer. Gently adjust the flexible neck to position the cool breeze any direction you wish. 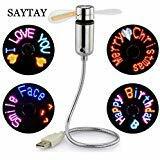 Durable soft fan blades for safe usage. User can edit the LED message by software via connecting USB poet to computer(NO data cable is needed). Programmed text or message transfer by micro wave. Message can be kept permanently even when the power is removed. Super compact & lightweight. USB pore powered, no external power supply needed. ON/OFF switch. Apply to PC,Laptop,PDA and any device with a USB port. CD-R software can be applied to Windows operating system only. 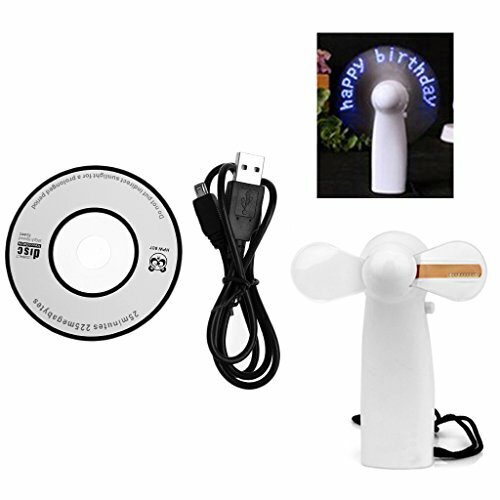 Specification Working Voltage: DV 5V Working Current:≤350mA Product Length: 40cm Weight:60g Fan Diameter:88mm Switch：Key switch Contents: 1X Programmable USB Fan 1X Software CD 1X Instruction Manual Caution: 1. Do not touch the spinning fan blades. 2. 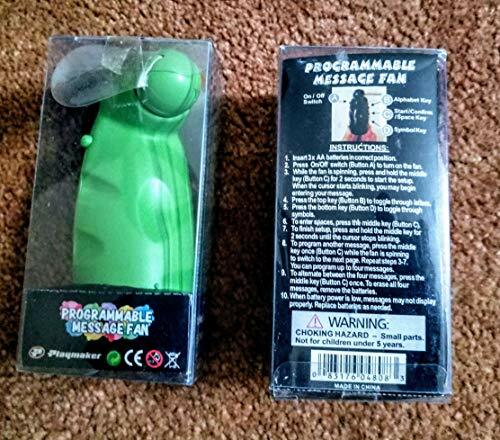 Do not exert to much pressure on the USB connection when adjusting the flexible neck. 3. Keep your face and hair away from the spinning fan blades. 4. Please turn off the fan when you do not use it. 5.Give it a break after 4-5 hours working.It will prolong the service life. 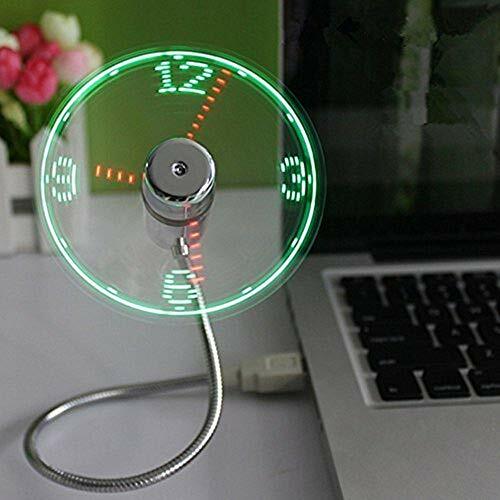 Description: 1 ) Round Frame Dimensions: 7 x 7 x 3.15 Inch 2 ) Packaged Product Dimensions: 8 x 7.85 x 3.9 Inch 3 ) Product Weight: 0.94 Pound 4 ) Packaged Product Weight: 1.18 Pound 5 ) USB cable: 5 Feet 6 ) Display hours, minutes and seconds, time can be set by user. 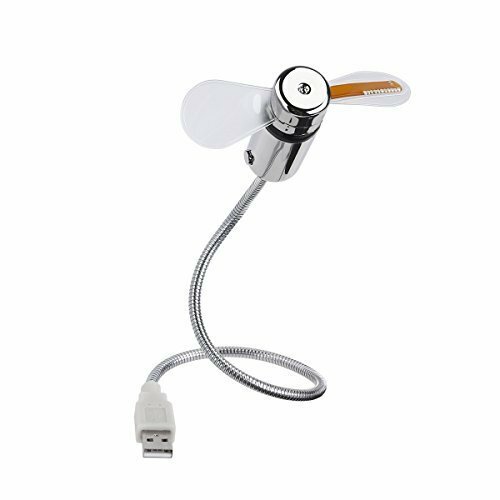 7 ) Display Fahrenheit degrees temperature, auto detected, can not be set by user 8 ) Power: USB 9 ) Voltage: DC 5 V 10) Electric current: 0.5 A 11) Operation mode: Mechanical 12) Speed: 2100 - 2200 Rpm , only one speed, can not be changed 13) No driver for installation required Package includes: 1 x 7 Inch Metal Frame USB Flashing Fan 1 x 5 Feet Integrated USB Cable 1 x Manual Notes: 1 ) Please read our product instruction before you use it. please put it on a relative smooth table. 2 ) Please note the time display setting is needed when you use. 3 ) Please use USB / DC 5 V power. 4 ) Please store the fan in a cool & dry location when not in use. 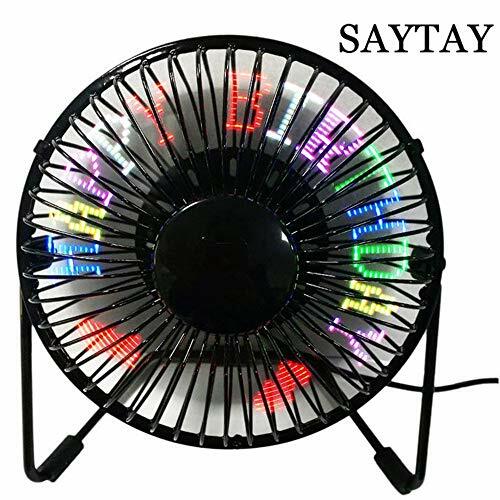 5 ) Please don't put anything into the fan when it is working. Don't be limited to a few boring preset messages. 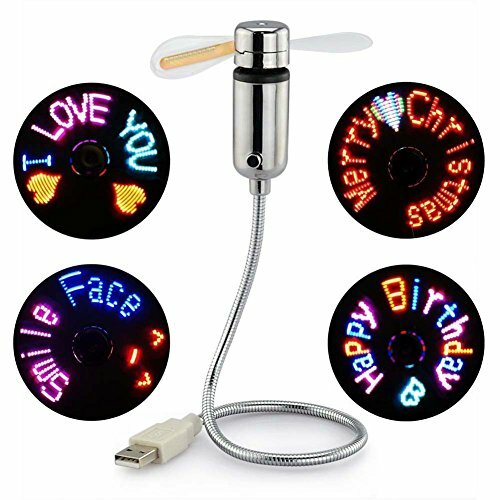 This fan lets you express your true self, with up to four LED messages you can program and store! Includes many symbols and special characters too! 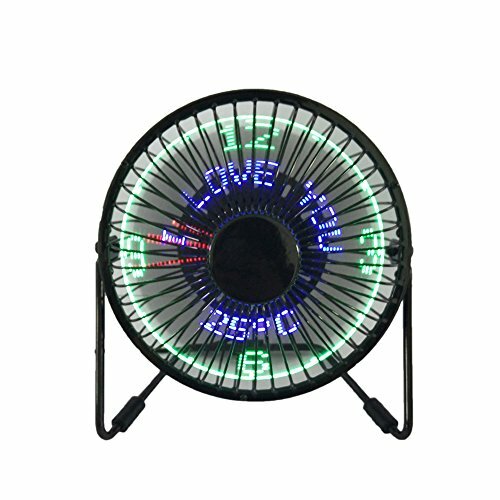 Each message can be up to 18 characters long, and the fan will display the message in different cool patterns. Super easy to program with just some finger taps. Soft, flexible propeller blades make this safer around children or partiers. 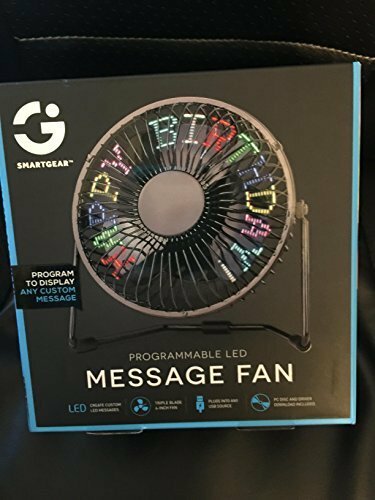 The fan comes with a convenient carrying lanyard. 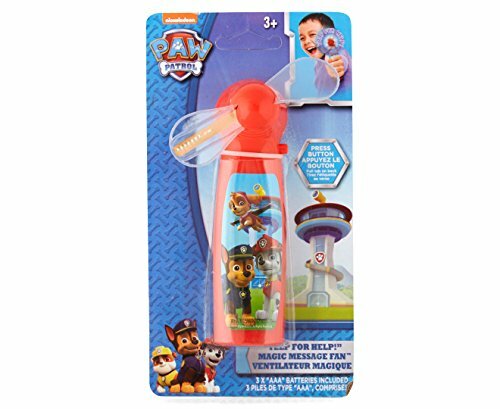 Uses 3 replaceable AA batteries (included). 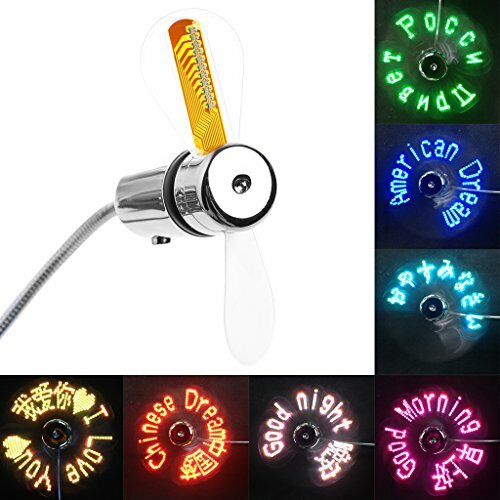 The plastic body of the fan comes in assorted solid colors. 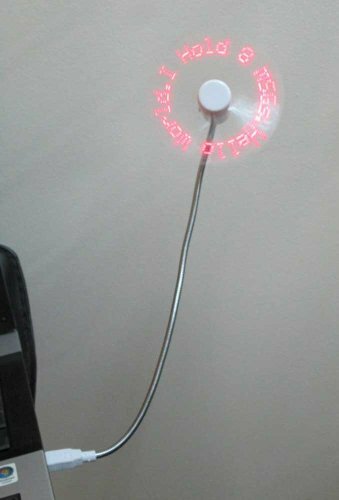 The fan's body is about 3 3/4" height and at its widest point, is 2 1/4" wide. Features Simply plug into any USB port on computer. Gently adjust the flexible neck to position the cool breeze any direction you wish. 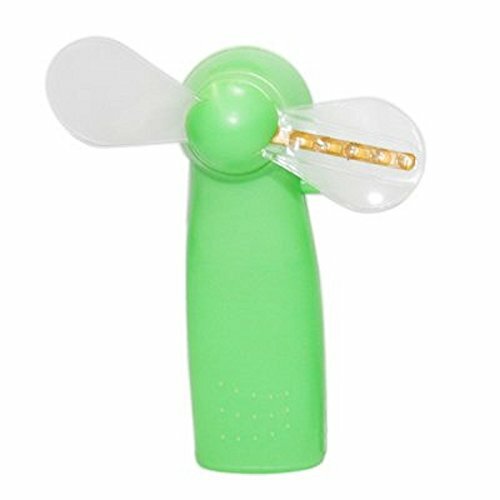 Durable soft fan blades for safe usage. 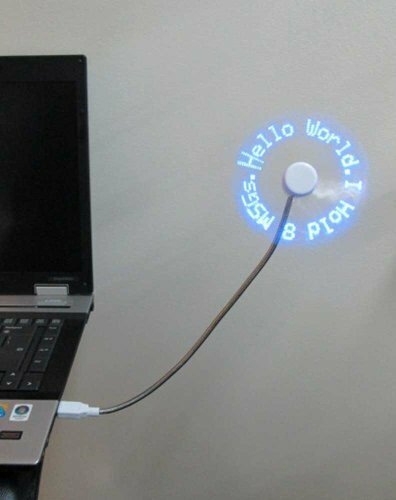 User can edit the LED message by software via connecting USB poet to computer(NO data cable is needed). Programmed text or message transfer by micro wave. Message can be kept permanently even when the power is removed. Super compact & lightweight. USB pore powered, no external power supply needed. ON/OFF switch. Apply to PC,Laptop,PDA and any device with a USB port. CD-R software can be applied to Windows operating system only. 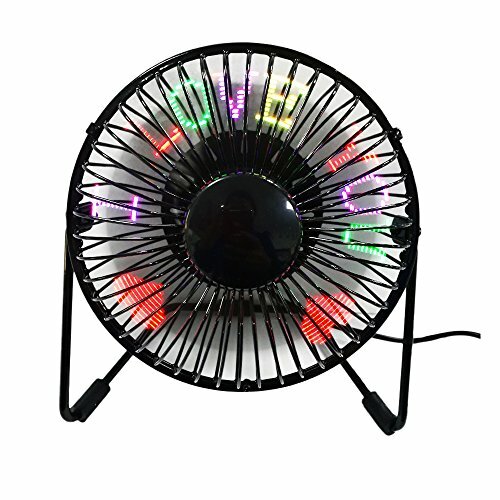 Specification Working Voltage: DV 5V Working Current:≤350mA Product Length: 40cm Weight:60g Fan Diameter:88mm Switch：Key switch Contents: 1X Programmable Fan 1X Software CD 1X Instruction Manual Caution: 1. Do not touch the spinning fan blades. 2. Do not exert to much pressure on the USB connection when adjusting the flexible neck. 3. Keep your face and hair away from the spinning fan blades. 4. Please turn off the fan when you do not use it. 5.Give it a break after 4-5 hours working.It will prolong the service life. 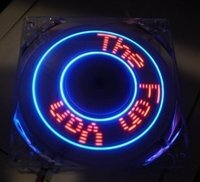 Everflow 92mm x 25mm Programmable LED Case Fan "Make Your Own Phrases!" 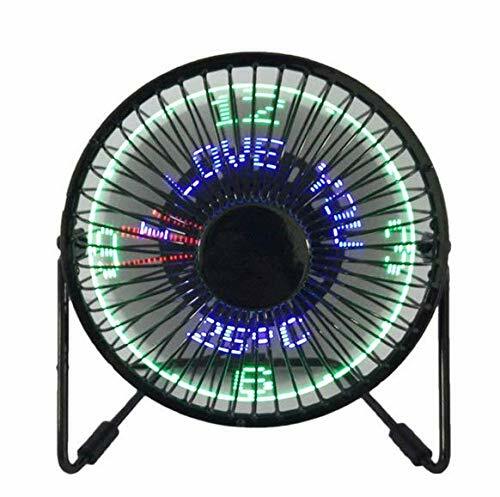 Compare prices on Message Fan at LiveSaler.com – use promo codes and coupons for best offers and deals. We work hard to get you amazing deals and collect all avail hot offers online and represent it in one place for the customers. Now our visitors can leverage benefits of big brands and heavy discounts available for that day and for famous brands. We try to makes comparison shopping easy with Product Reviews, Merchant Ratings, Deal Alerts & Coupons. Find Deals, Compare Prices, Read Reviews & Save Money.